Roel Meelkop (1963) studied visual arts and art theory at the Willem de Kooning Academy in Rotterdam, The Netherlands. During a post-graduate course at the same academy he decided to dedicate his work to sound and music. His musical activities date back to the early eighties when he started THU20, together with Jac van Bussel, Peter Duimelinks, Jos Smolders and Guido Doesborg. THU20 have released several tapes and CD’s and performed regularly in Europe. The working method of THU20 included many discussions about how to compose and why. This period was crucial in forming his ideas and concepts about sound and how to organise it, but it was not until the mid nineties that he was able to fully realise these ideas. 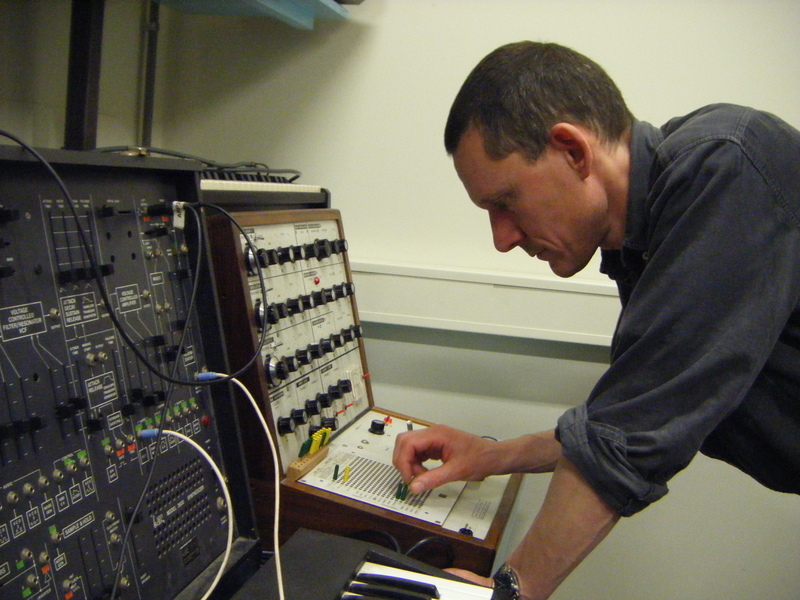 The purchase of a sampler and later a computer radically changed his possibilities of working with sound, offering infinitely more control and freedom. Since then he has worked steadily on a body of work, most of which was recieved enthusiastically in the small but dedicated world of sound art. His other activities include working with Kapotte Muziek and GOEM, together with Frans de Waard and Peter Duimelinks, and organising sound events, mostly in Rotterdam. Aside from releases, Meelkop also creates site-specific sound installations and performance pieces in collaboration with other artists. In the last couple of years, Meelkop has focussed on solo works in composition and installation work. A new project with Frans de Waard called Zèbra has also taken up some well spent time.